Browse: Home / 2018 / November / 17 / Community Connections – A Perfect Fit! Community Connections – A Perfect Fit! The Greater White Bear Lake Community Foundation recently announced the recipients of its 2018 Community Partners Grants. Among the recipients was Julie Comfort, STEM resource teacher at Wildwood Elementary School. 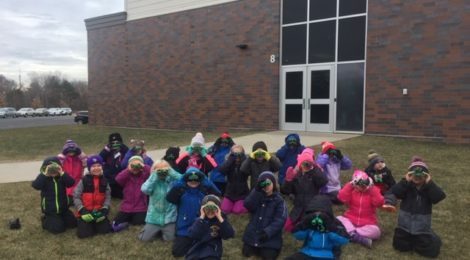 Julie was awarded a grant of $900 to purchase a classroom set of binoculars to support outdoor education for K–2 students in Mahtomedi. After learning that some GWBLCF grants had a specific environmental focus, MAGI volunteers Jeanne Zlonis and Mary Hoff worked with Julie to complete her grant application. 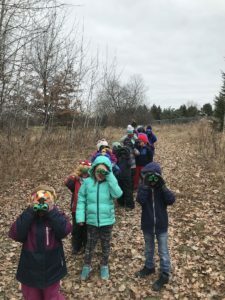 We are delighted that Julie’s proposal was successful and that Wildwood students will have access to this important learning tool thanks to the generosity of the Greater White Bear Lake Community Foundation.